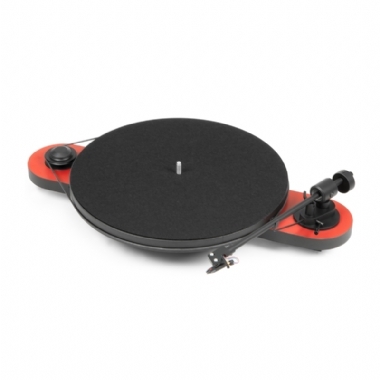 The new ProJect Elemental turntable is a real "plug'n'play" turntable. No adjustment of counterweight and anti-skating is needed, because both are pre-adjusted. This new straight ultra low mass tonearm is optimised for the Ortofon OM cartridge series. All you need to do is remove it from the box, remove bearing guard, locate the belt around the platter, remove stylus guard and plug it in.